Eclipsing all with her effulgent rays. This will be an unusual post from me, and since I am no photographer, and not a highly skilled gardener either, the results will be questionable! But I had to share my joy with all of my readers as I have recently begun a new love affair. No, I’m still happily married to my darling husband Russ, but in May I began a quest for dahlias. This was in view of my dear son Josh’s upcoming wedding, as the reception was to be held in our backyard. His lovely fiancée Grace, had decided upon an unusual color–hot chocolate roses, with which I wanted to try to coordinate the garden flower beds. 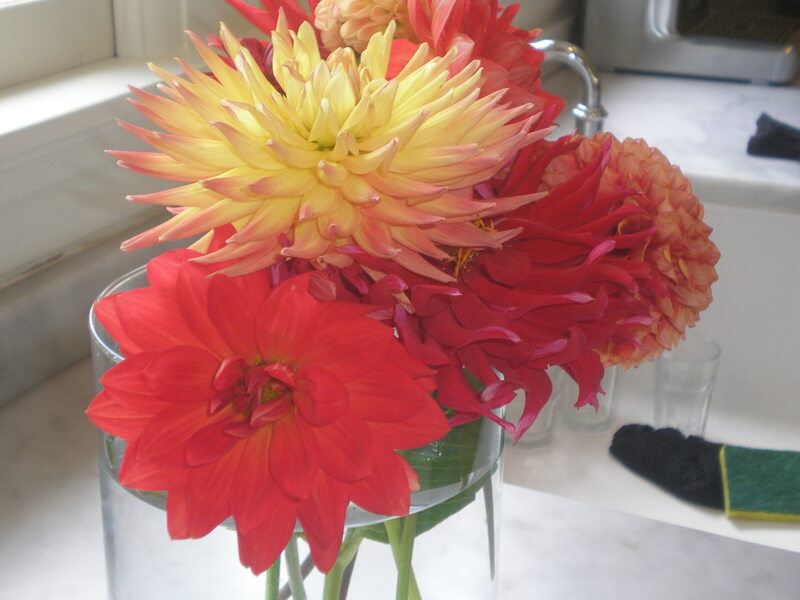 So dahlia’s seemed the logical choice to give some whimsy and vibrant color to the event. I ordered 25 different varieties in the red and coral genre and planted away. When the tubers arrived, I was struck by the unpromising (and downright hideous) aspect of a dahlia tuber as it stands in remarkable contrast to what its unassuming seed state portends. 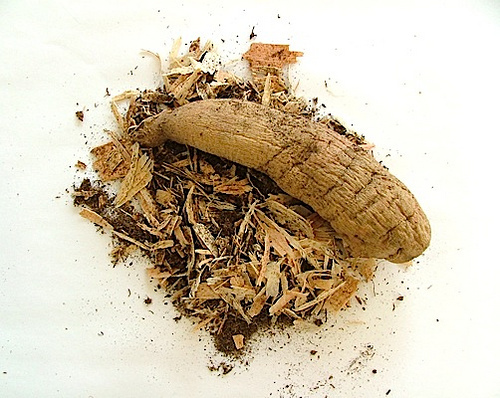 Brown, shriveled and humble, this tuber has something to say about the nature of transformation. And transform they did! The glorious color, variety, and shapes of dahlias astound and thrill me every time I return to the garden to fertilize, trim and deadhead. Not to say that getting them to this point didn’t take heroic efforts. It did. I have gone from being an organically green fundamentalist to a free-wheeling chemical and pesticide nazi. I mean all of this figuratively, of course. While I have always maintained a strict pesticide and chemical free garden ethos, my dahlias forced me into denying everything I have hitherto maintained about being green. 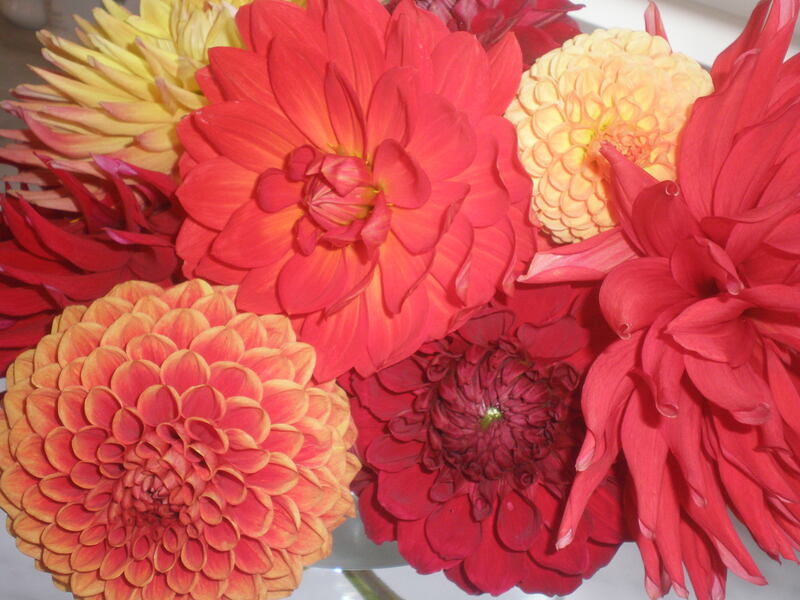 Dahlias are high maintenance flowers and at least this summer (which was unusually cool on the central coast of California), are subject to every pest and disease known to the botanical world. So I sprayed, fertilized, dusted, and sprayed some more. I did seriously doubt my own sanity when I found myself on successive mornings literally scrubbing powdery mildew off of my dahlia leaves with a toothbrush. Oh, the lengths we (well, I ) will go to have a nice garden for a wedding! 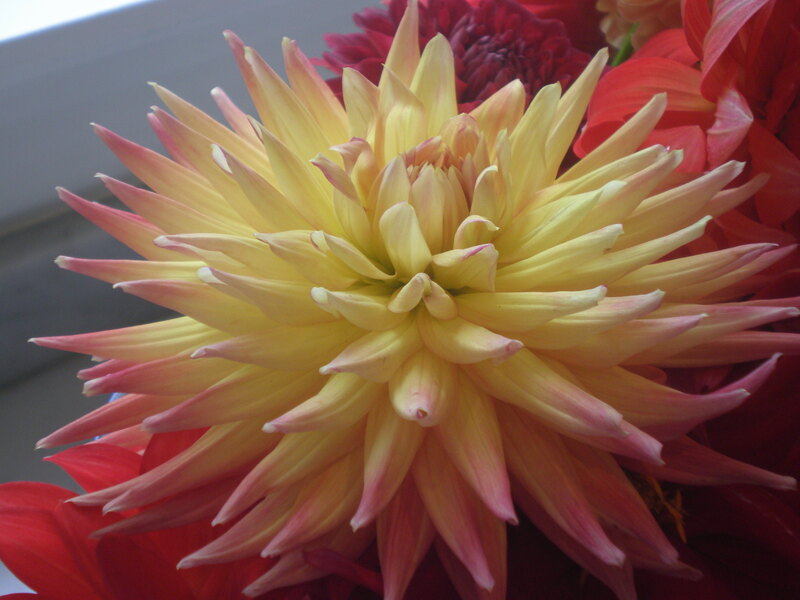 But now, my hard work is paying off and so I am delighted to share some dahlia pictures I took this morning. By the way, the wedding was beautiful and the dahlias were eclipsed into the background of all the other lovelinesses, especially the bride herself! Finally, since this is in reality a blog devoted to children’s literature, I must have a tie-in to some aspect of children’s lit. 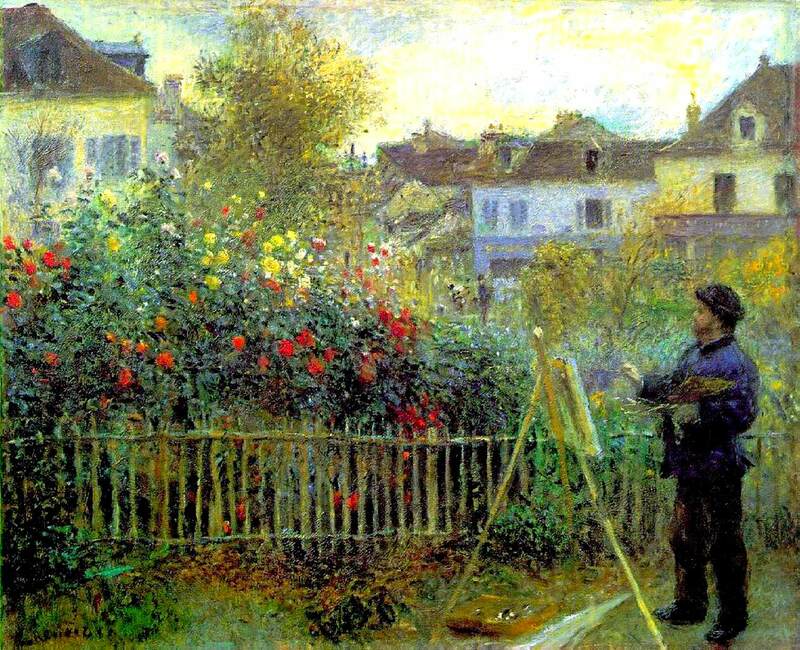 So, I’m happy to share that Monet too, loved dahlias and Renoir painted Monet in his garden painting dahlias. Here it is! 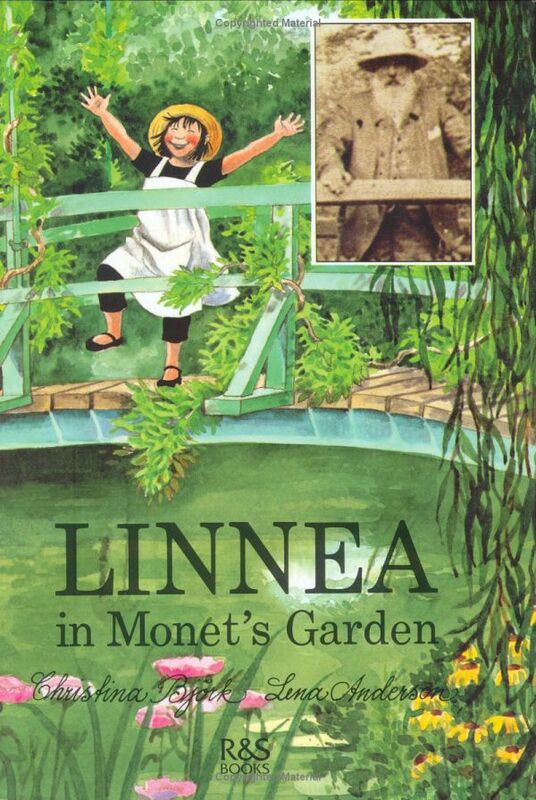 Which brings to mind that there is a wonderful children’s book on the topic of Monet’s garden entitled Linnea in Monet’s Garden. Check it out! Thank you for this post, which caught me up a little with your life, and reminded me to enjoy beautiful things!